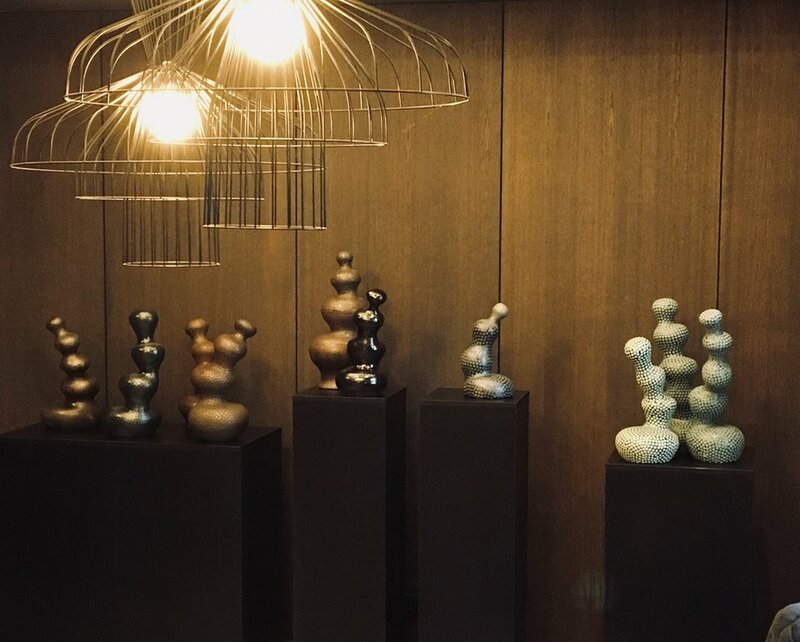 As a part of the program “Artist Playground”, the Latvian Centre of Contemporary Ceramics in collaboration with the “Pullman Riga Old Town” hotel presents a solo exhibition by the Latvian artist Una Gura. The exhibition is open for visitors from August 27 to September 30. “Artist Playground” is the initiative by “Pullman” that demonstrates a symbiosis of imagination, creativity and talent. 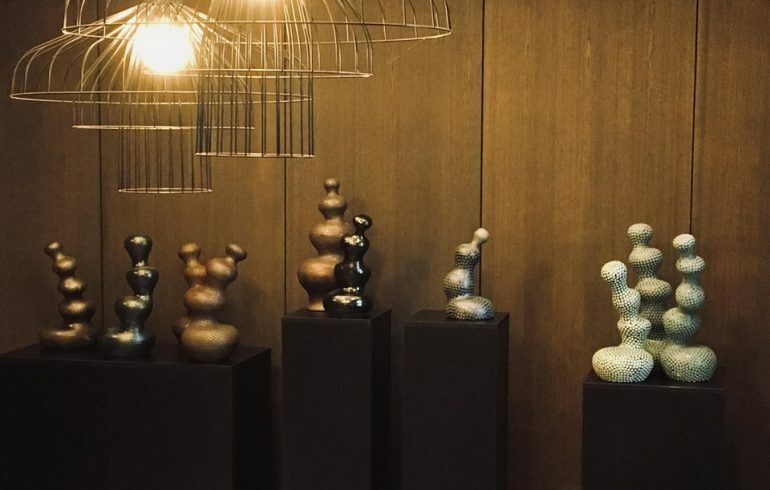 As a part of the program, Latvian artists and designers will showcase their works for the hotel guests, tourists and local residents. “Pumpunella” is a project by Una Gura, in which two separate series of works have been showcased. One of the series contains large-scale ceramic objects, whose outlines resemble stones, frozen in biomorphic forms or ceramic spaces clamped in the universe. The other series consists of smaller-scale works. Their silhouettes resemble air bubbles, reaching towards the surface of a dense layer of water, but their movement has been suspended. The exhibition will allow travellers and visitors to immerse themselves in the cultural environment of Latvia and will introduce them to the contemporary Latvian ceramics.